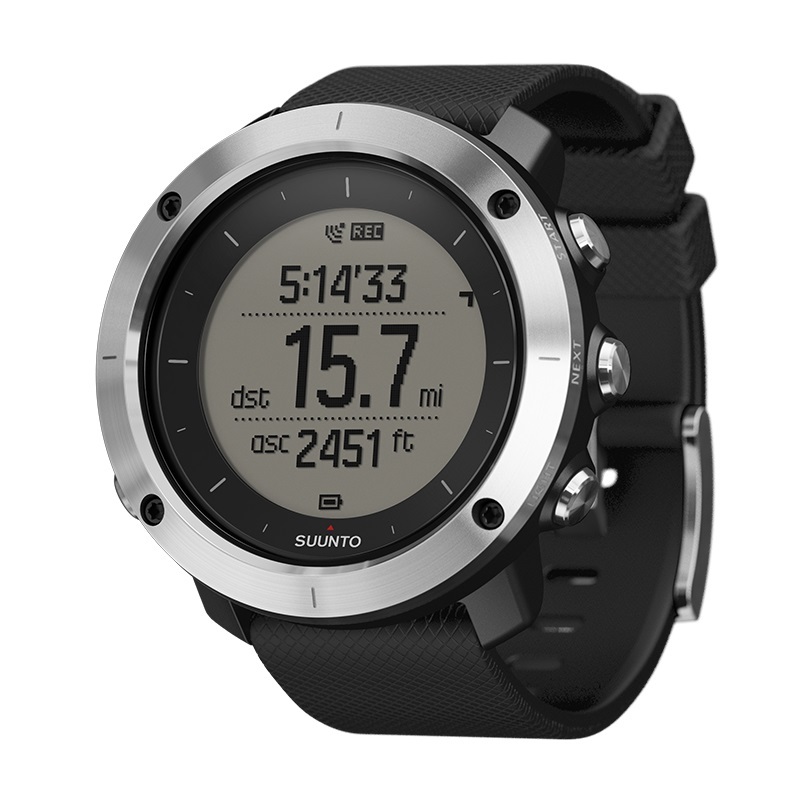 In October 2015 Suunto released the new Traverse Collection. The Suunto Traverse Collection consists of five GPS watches – Suunto Traverse Amber, Black, White, Graphite and Slate. These watches offer incredible performance in addition to attractive design. They are designed for outdoor enthusiasts who need a top-quality timepiece for their adventures and therefore they are equipped with many advanced features such as compass, barometer, Bluetooth chipset, GPS tracking and GPS navigation. Even though these features are similar to the features of Suunto Ambit watches, the Suunto Traverse watches are not replacing the Ambit watches – as stated by Suunto. I must admit that I have been waiting for quite some time for a new GPS enabled watch from Suunto. As an eager user of Suunto Ambit 2, I wanted a watch that offers similar (or better) functionality but has a more attractive design. I never particularly liked the design of Ambit series –I was especially bothered by the relatively big antenna sticking out of the watch. When Suunto released the Essential Collection in March 2015 I was amazed by the design but unfortunately these watches are not equipped with a GPS receiver. In the fall I noticed that the Suunto Traverse has been released. 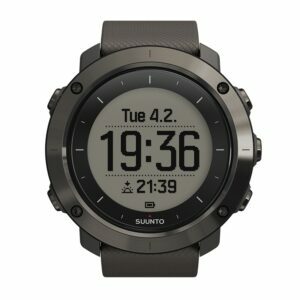 When I had a quick look at the Suunto Traverse specifications and images I realized that this is probably the best watch ever released by Suunto. It has a great elegant design and superb functionality, including a GPS receiver. As already mentioned the Traverse Collection consists of five watches. The watches only differ by color, price and strap material. The Amber, Black, White and Graphite model have a silicone strap while the slightly more expensive Slate model, has a textile strap. It is unusual that the differences between Suunto watches from the same collection are that small. However, I think that Suunto will also soon release a model with a Sapphire glass lens in addition to the five models listed above which are equipped with mineral glass lenses. This would be indeed great because Sapphire glass provides even better protection against scratches. My Suunto Ambit 2 watch (without Sapphire glass lens) got scratched relatively quickly even though I have been using it with a great caution during outdoor activities– wearing it under shirt’s sleeves, gloves etc. Note: Suunto released the Traverse model equipped with Sapphire glass lens in late May 2016. Even though the Suunto Traverse looks incredibly elegant, it features a robust design that can withstand the most severe conditions. The case of the watch is made of composite materials and equipped with a stainless steel scratch resistant bezel. The lens is made of mineral crystal thus offering some basic protection against scratches – again I am hoping that Suunto soon releases the Sapphire glass model which will offer even better protection. 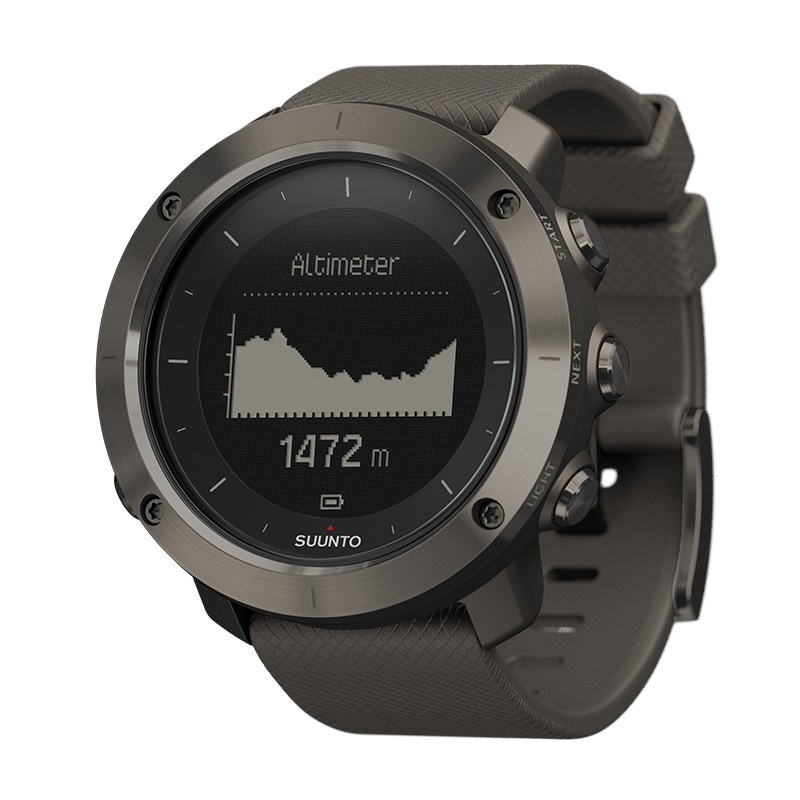 The Suunto Traverse is using a GPS antenna in the ring which makes the watch look more elegant in comparison to the Suunto Ambit which uses an external antenna. The Traverse watch is very light for the functionality it offers – it weighs only 80 grams. The Suunto Traverse is equipped with a digital compass, barometer, thermometer, altimeter and GPS tracking and navigation features. The digital compass shows direction in degrees or mils and it also allows you to lock the bearing for easier navigation. The north indicator is shown all the time when the watch is in the compass mode. The watch automatically switches between the altimeter and barometer mode – when it detects an altitude change it switches to the altimeter and when the watch is still it switches to the barometer. The barometer mode shows sea level pressure and a sea level pressure recording graph (for the past 26 hours). Additionally the watch shows a weather trend indicator – the most recent changes in the pressure which help you to predict the weather. In case of a sudden pressure drop the watch will also warn you with an alarm (the storm alarm feature). The altimeter can show barometric altitude, GPS altitude or so-called fused altitude – combined GPS and barometric altitude. Additionally it can log altitude changes based on barometric altitude and then show altitude graph. This is the first watch from Suunto which in addition to GPS also supports GLONASS, a Russian version of GPS. The current software does not allow GLONASS to operate but an update will come shortly as stated by Suunto. The GLONASS functionality could drastically increase the GPS accuracy as well as decrease the time required to get a satellite fix. The watch allows you to set three different GPS intervals which influence the battery life. You can increase the battery life by setting a longer GPS interval but this will of course result in less accurate tracking. The watch also supports numerous coordinate systems such as UTM, MGRS, WGS84 thus making it easy for you to navigate through unknown terrain with the help of whichever map you have. Additionally the watch supports waypoint and visual route navigation. Waypoints can be inserted directly on the watch or through the Movescount app on a computer. Routes can only be planned in the Movescount app and then synchronized with the watch. Furthermore the watch has track back and find back features. The find back feature shows you the direction to the starting point while the track back features generates you a visual route back to the starting point. 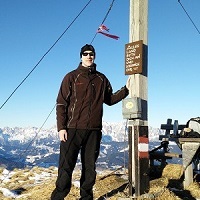 I found both features very useful on my Suunto Ambit 2 device while hiking and mountaineering. Note: All Suunto Traverse watches have been updated and now support GLONASS functionality. The Suunto Traverse is equipped with a Bluetooth adapter. This is a great feature because it allows you to connect a variety of devices to it. 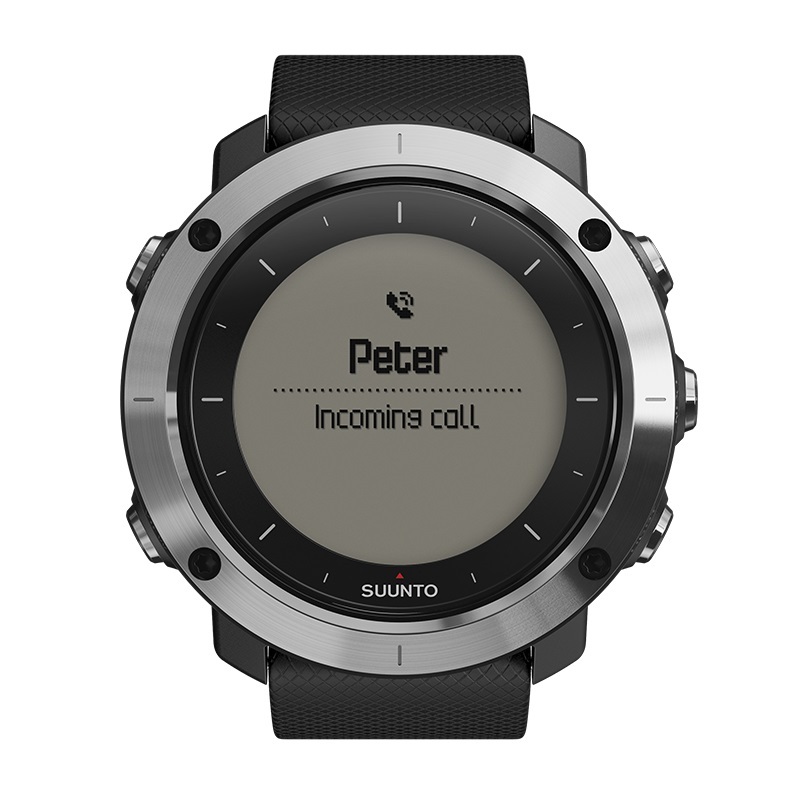 The watch can be connected to an Android or iOS Smartphone (Suunto App is required) and therefore you can receive the notifications from your Smartphone directly to your watch. You can also use a Smartphone as a secondary display of the watch. Additionally a Bluetooth heart rate belt can be connected to the watch. Unfortunately the Suunto Traverse does not support bike or cadence POD which could otherwise be easily connected to the watch via Bluetooth. It seems that here the Suunto drew a distinction between the Ambit and Traverse series – Ambit is aimed towards athletes while the Traverse is aimed towards recreational outdoorsmen. The Suunto Traverse allows you to configure five different sport modes which can show all the essential data during a workout – heart rate, speed, ascent, pace etc. In the Movescount app you can also see an in-depth analysis with GPS track after the workout; the watch first has to be synchronized with the Movescount app via a USB cable or Bluetooth. Additionally the watch allows you to install up to three apps per sport mode. You can create the apps yourself or get them in the Movescount App Zone. They allow you to obtain additional information during or after the workout. I could imagine that many hikers will be in doubts whether to buy the Suunto Traverse or Suunto Ambit 3. Therefore I will describe the main differences between the watches. The Suunto Ambit 3 is best for athletes while the Suunto Traverse is aimed towards recreational outdoorsmen who will also use the watch for everyday activities. The first difference you will notice is that the Traverse doesn’t have an external GPS antenna and therefore looks much better. It is also slightly lighter than the Suunto Ambit 3 – the Suunto Traverse weighs 80 grams while the Suunto Ambit weighs 96 grams. The Traverse watch also features vibration alerts, step counter and flashlight backlight mode which the Ambit 3 lacks. On the other hand the Ambit 3 offers better connectivity and more sport modes. 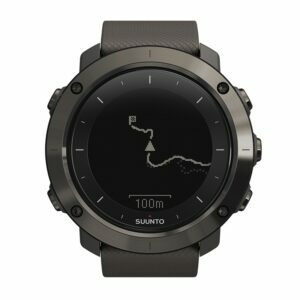 The Suunto Ambit supports external Bluetooth PODs, multisport mode, swimming mode and advanced training analysis such as activity based recovery time, activity monitoring, sleep recovery test and some others – all of which the Traverse lacks. The Suunto Traverse is an extraordinary watch that will satisfy most outdoorsmen. In addition to superb design it also offers advanced features that will come in handy in nature as well as in everyday life. 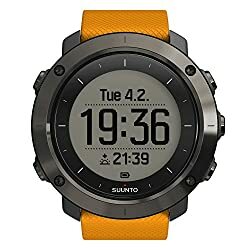 I regard the Suunto Traverse as the great compromise between the elegant Suunto Essential which does not have a GPS receiver and the GPS equipped Suunto Ambit 3 which is kind of bulky.